I have seen so many people lamenting bitterly that their Facebook account was hacked. For them, the hacked account has been part of their life. They have been using the hacked Facebook account for many years. And suddenly one damned fraudster hacks and steals the account off the owner. It’s very painful. So how do you secure your Facebook account from being hacked? This is what I am going to show you in this post. this is no doubt, your best Facebook account security tips . The first step to secure your Facebook account against hackers is to make your password very difficult and nearly impossible for people to guess. Facebook, for some people, Facebook is part of their everyday life. This is where most people interact with friends and family. Getting your Facebook hacked can be demoralizing. Whether you are just joining Facebook or an existing member, it is advisable to change or choose a strong password that will be difficult to guess. For you to do this, always avoid using your date of birth, phone number, your name or easy words as your password. I have seen people using their phone numbers as their Facebook password. This is totally wrong. The Facebook account can be hacked, even by an amateur without breaking a sweat. Furthermore, always make sure your password is at least 8 characters or more in length with a combination of lower-case, upper-case, numbers and special characters. This is another great step to secure your Facebook account from account harvesters. Setting up login notification on your Facebook account will automatically alert you when someone logs in to your Facebook account from a new device or browser. This can be done by choosing how you prefer to receive alerts when someone or hacker logs in to your Facebook account. As shown on the screenshot below, you can choose to get login alerts via Facebook notifications, email, or text messages. 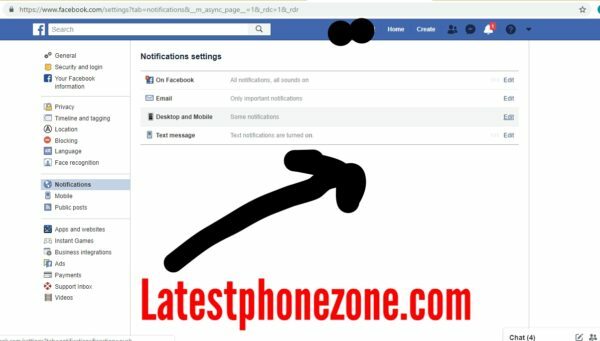 To activate login notifications, login to your Facebook account. Scroll down and Select Notifications. Choose from the available options on the notification page and click on “Edit” to properly set it up. Click on “Save Changes” when you are done. Two-factor authentication offers an extra level security to your Facebook account. When turned ON, it requests for a security code when you or an unauthorized person tries to login to your account from an unknown browser. Two-factor Authentication is really cool and a useful security feature to secure not just your Facebook account against hack, but also any other social networks you are part of that supports this feature. Even those that are fond of using their phone number as their Facebook password can use Two-factor authentication to secure their account from being hacked. To set up two-factor authentication, go to your account SETTINGS, then click on “Security and login”. On the page, scroll down and select “two-factor authentication,” then click on “Get Started” to begin the setup wizard. It’s very easy to set up. This is the most common method of hacking a Facebook account. I have been hacked twice through this method in the past, which means I am typing out of experience. The deal is, this set of hackers create a fake Facebook login page (phishing) with the sole aim of collecting login detail from naive Facebook users. They most times shorten or mask the URL with interesting and attractive words like “Click Here to Make Money Today”, “Shocking Video”, etc. just to lure unsuspecting Facebook users to click on it. 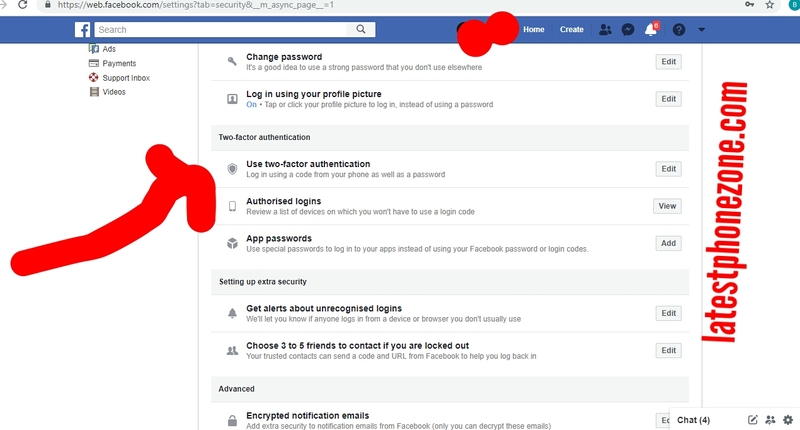 If you are naive enough to click on the link (like I did before), it will lead you to page where you will required to “login with your Facebook account”. Once you fall for this and logs in with your real Facebook account. Then, I am really sorry for you, because you Facebook account will definitely get hacked. My point is, when you receive spam messages with a suspicious link; don’t be too quick to click on those links without verifying the authenticity. Avoiding suspicious links is one of the best ways to secure your Facebook account from being hacked.